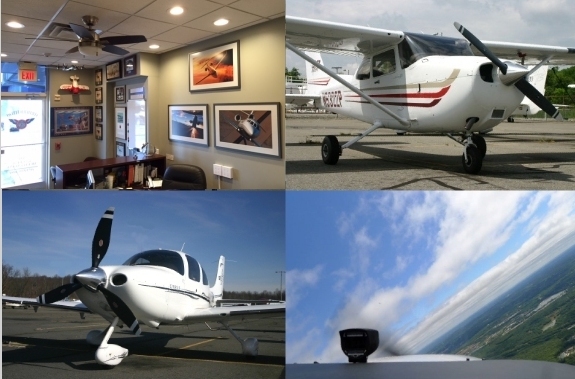 Certified Flyers provides premiere flight training in NJ at Morristown Airport (KMMU). Our courses range from primary flight training for the Private Pilot Certificate all the way through advanced certificates and ratings culminating in the Airline Transport Pilot Certificate. 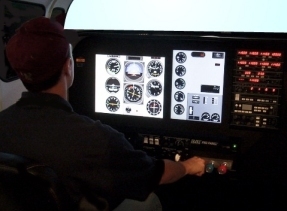 We also provide accelerated instrument and multi-engine flight training. As your local Flight Training Center, we are committed to introducing the latest and greatest general aviation has to offer. Our aircraft include the Cirrus SR22, Cessna 172SP and the Cessna 172 G1000. Our fleet includes aircraft equipped with traditional instumentation as well as Technically Advanced Aircraft featuring a glass cockpit. Our instructors are internally standardized to ensure they are thoroughly familiar with your aircraft and understand the importance of your transition training. We have sent over 50 pilots to the regional airlines in the last 6 years. Our Professional Pilot Course will accelerate your career! Non-US citizens must pass a TSA background check. 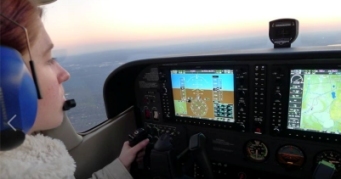 Earn your Private Pilot certificate in 30 days through our accelerated primary flight training. This focused approach provides 25 hours of flight instruction and 15 hours of solo flying in the shortest possible time. A great time saver for those whose free time is limited. Add an Instrument Rating to your certificate in 14 days through our accelerated instrument flight training. Includes 35 hours of ground instruction, 20 hours of flight instruction and 20 hours dual instruction in our Elite RC-1 simulator. Pilot Shop at Certified Flyers! Certified Flyers features a pilot shop that is the largest in northern New Jersey! - Log books, flight bags, headsets, flasshlights and more! We also offer online training that is only available through Certified Flyers! Request a trial login at www.virtualpoh.com! Our Cirrus Timeshare program gives you the flexibility in flying you always dreamed of having. We include overnights, wet rates as well as initial and recurrent training. Your initial training will incorporate scenario based training with familiar routes, which will increase your confidence and provide increased aircraft utilization. We follow the Cirrus recommended flight training syllabus for all transition and recurrent training programs. 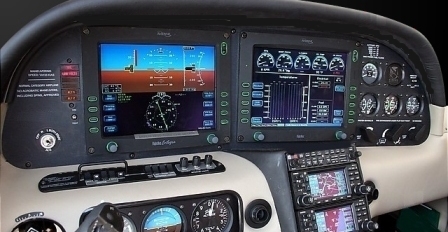 Elite's FAA approved Advanced Aviation Training Devices set the standards in high-quality simulation technology. Our RC-1 is a complete full-featured ATD with life-size, high-resolution instruments, cockpit enclosure, instructor station, and external visual system with large-screen display as standard equipment.